Daisy pollen. Asteraceae) plant. These grains have a spiked outer wall (exine), which may assist in their dispersal by improving their adherence to pollinating insects. 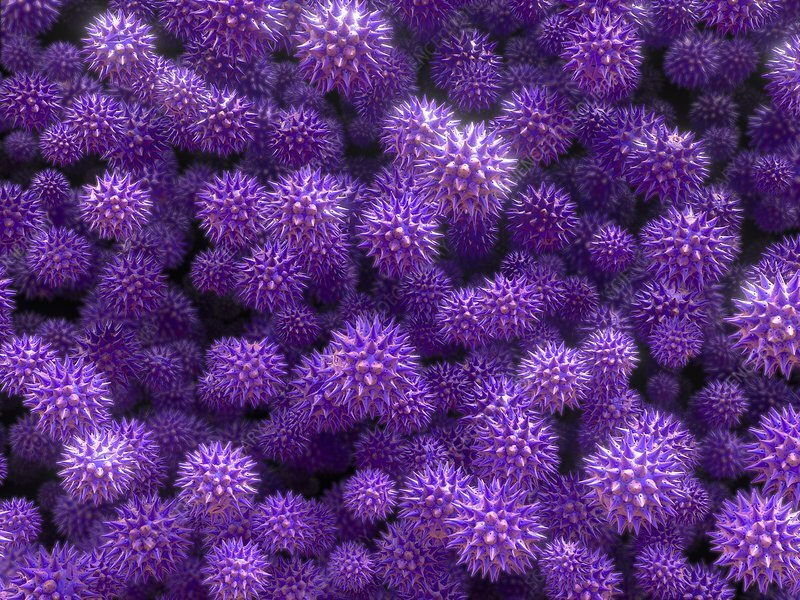 The characteristic surface of pollen grains is used by botanists to recognise and classify plants. Each pollen grain contains a male gamete (reproductive cell) that is intended to fertilise an egg or ovule (female gamete), and initiate the formation of a seed for a new plant.